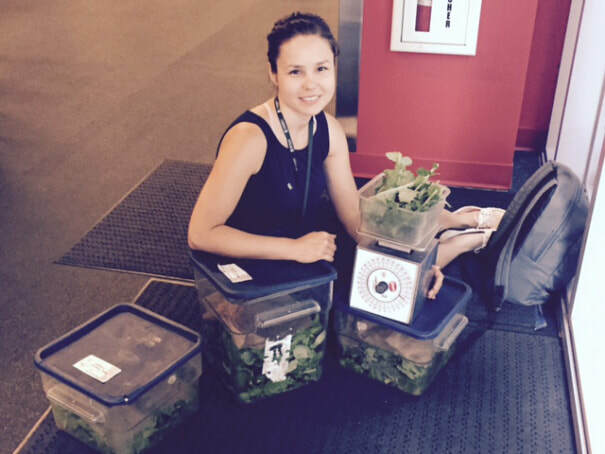 ​This coming summer semester (2019) the Sustainability Studies program will offer an innovative special topics course, SUST 390 Rooftop Garden, at the Chicago Campus. 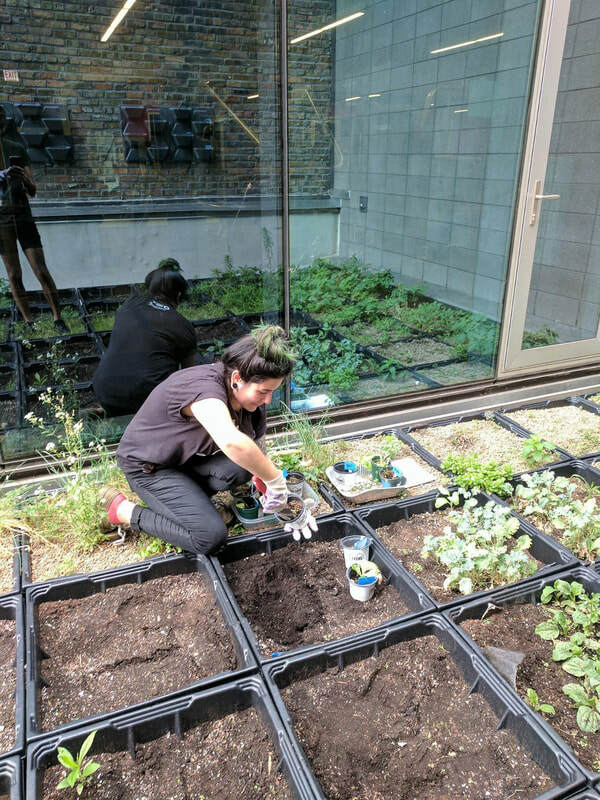 Taught by SUST adjunct professor Vicki Gerberich, the class will utilize RU’s unique 5th-story rooftop garden on its LEED Gold-certified Wabash Building as a living classroom for a hands-on, place-based, get-your-hands-dirty learning experience. SUST majors and minors may take this class to fulfill an upper-level SUST 3xx requirement, but 390 also is open to students at large seeking an experiential learning course, needing a general education course, or desiring elective credit. Western State Colorado University students, leveraging the RSC partnership can receive 3 upper division credits in place of an ENVS397 course. 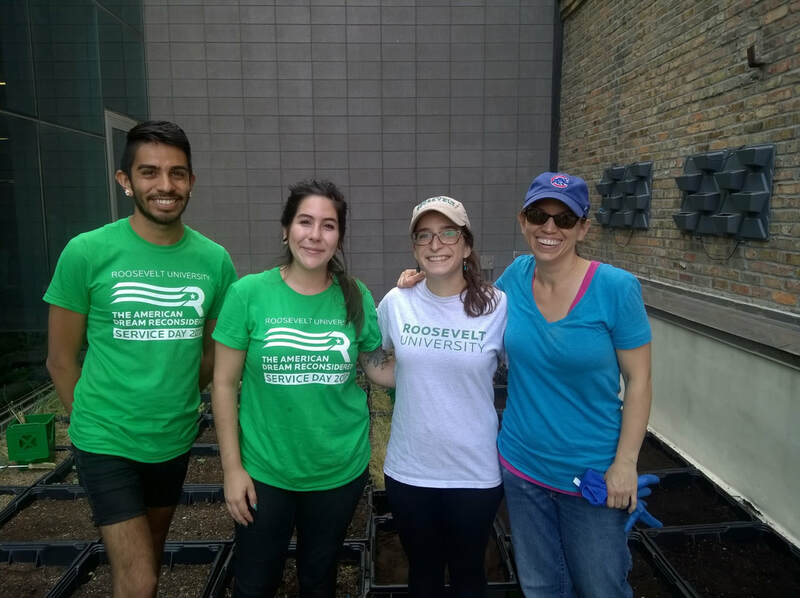 This eight-week special topics course focuses on the unique urban ecosystem, the green rooftop, and features hands-on work in and stewardship of the fifth-story Roosevelt University WB Rooftop Garden in downtown Chicago. Students will learn about the relationships among food, biodiversity, waste, urban agriculture, green space design, and campus sustainability leadership through multiple modes: reading, discussing, taking field trips, and working in the RU garden during the summer late spring / early summer planting and growing season. 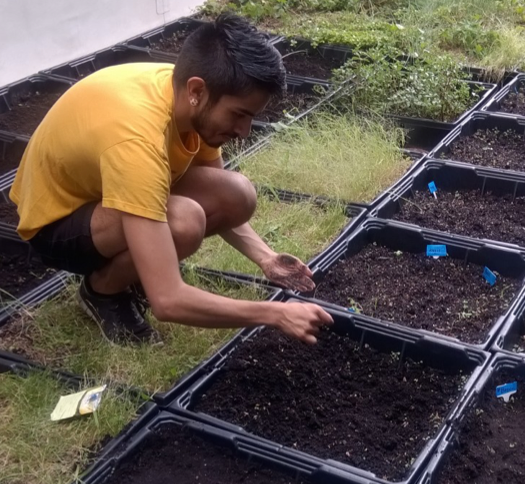 Course requirements and activities include online interaction through Blackboard; a minimum of three weekly hours working in the garden as scheduled by the student and instructor; and field trips to other urban community gardens and farms, whether rooftop or street-level. 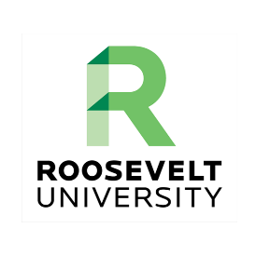 Participation in this course constitutes a significant contribution to the sustainability of RU’s Chicago Campus, and helps our community make progress on our 2015-2020 Strategic Sustainability Plan. 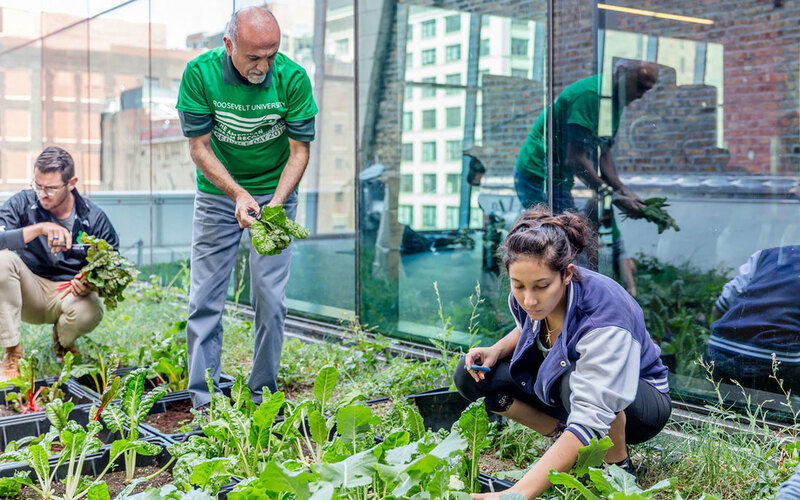 The RU Rooftop Garden in Chicago was started in the spring/summer of 2013, the first growing season after the opening on the Wabash Building in fall 2012. Since then, it has been funded and managed by the Department of Physical Resources, with work being done primarily by student interns and volunteers.